I started a new painting the other day and I thought I would post some in process pics of the work. It's a 24"x36" oil painting of a grain elevator. The grain elevator is just south of Saskatoon Saskatchewan Canada. Here is the start of the sky. 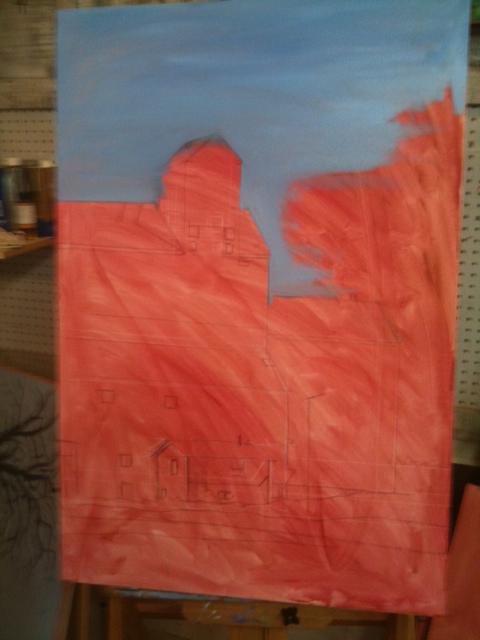 You can see the underpainting the initial drawing of the building.